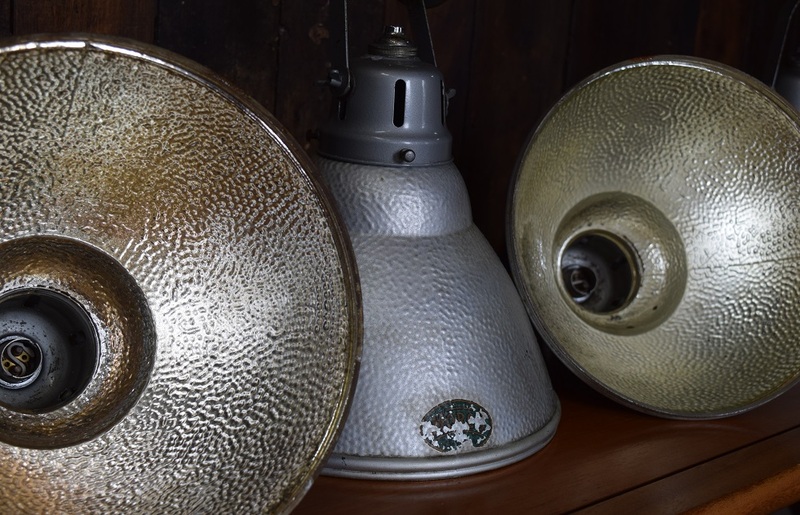 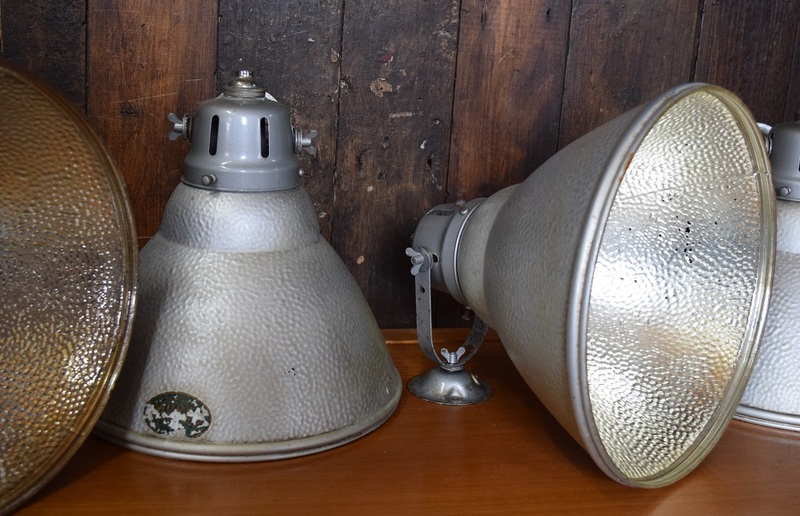 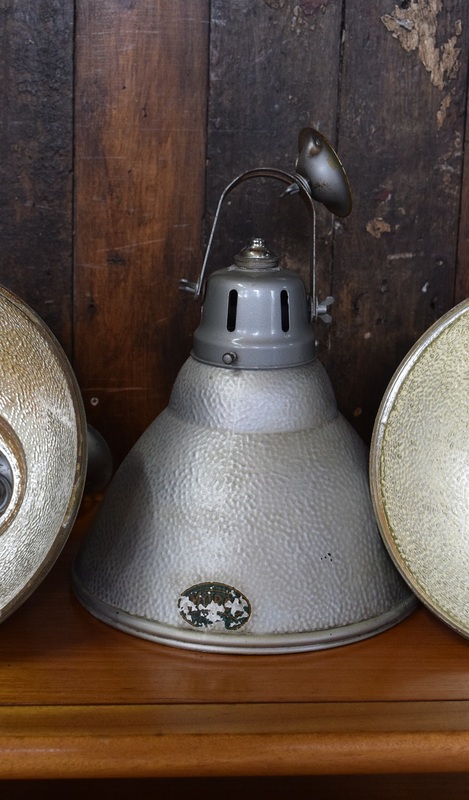 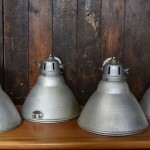 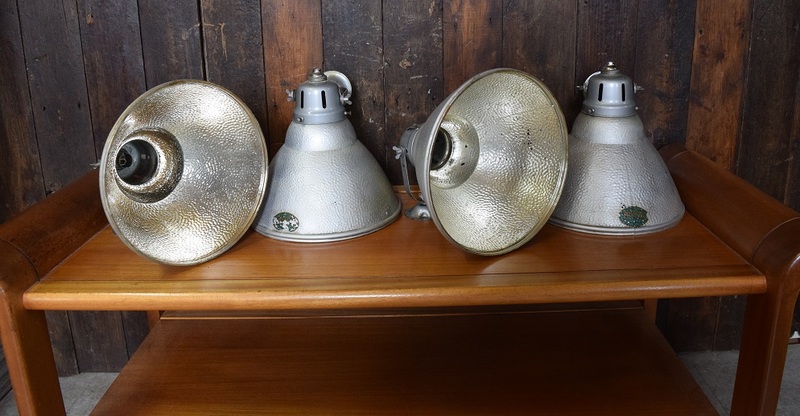 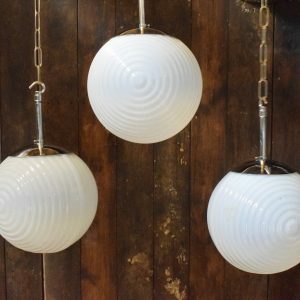 These vintage wall lights are made by Morco and are similar in style to those made by Gecoray. 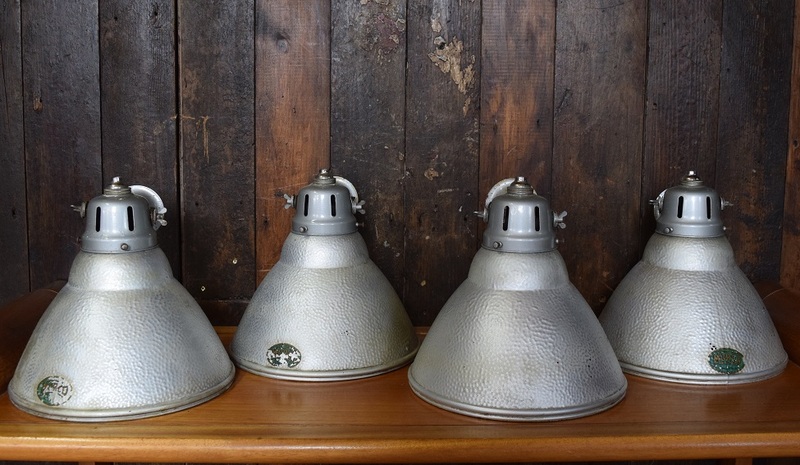 They were sold as high quality shop window lamps. 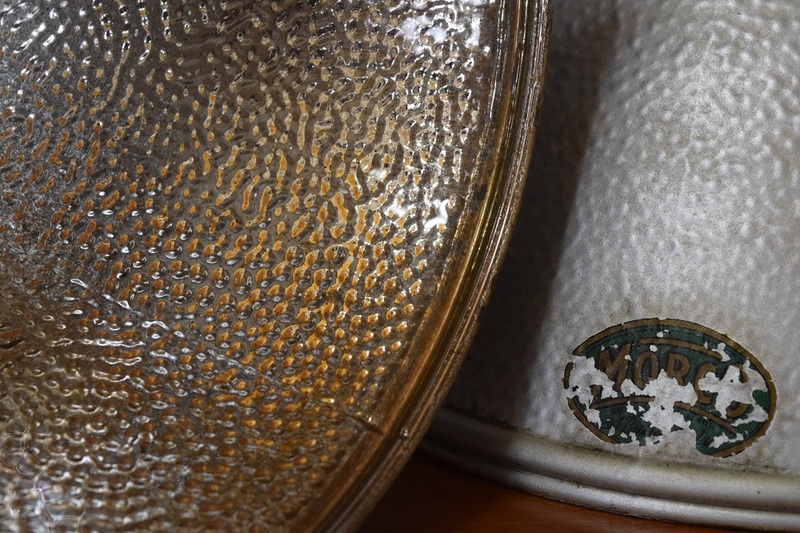 The shades are glass with a silvered texturised inside to help reflect light. 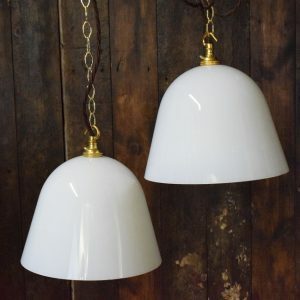 These lights are dual purpose and can either be wall mounted using the bracket displayed or the bracket can be removed to enable it to be hung as a pendant light. 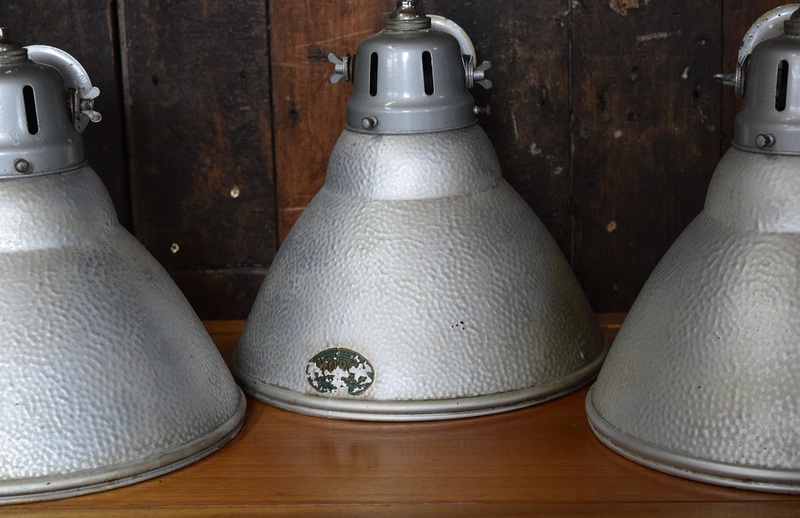 These lights are rewired with a new B22 bayonet bulb fitting and dark brown antique style fabric flex. 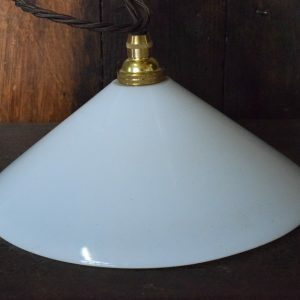 Size diameter of shade 26cm. 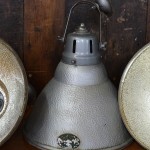 Height of shade 25cm. 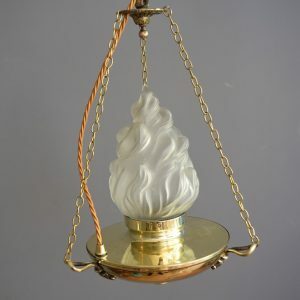 Height of bracket 13cm. 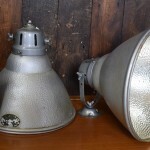 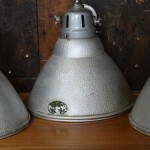 Please note that vintage lighting will have some age related marks and scratches. 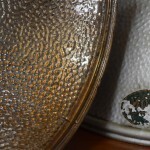 The shades have some speckling to the shades inside and out. 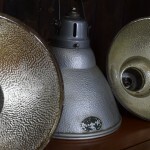 It is these marks which distinguish antique and vintage lighting from modern reproductions.